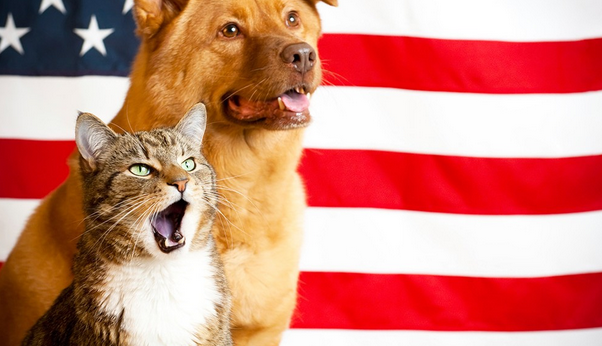 Most Americans will be celebrating independence this weekend, and, although it’s a blast for humans, pets are generally not fans, especially of fireworks. The American Humane Association reports that July 5 is the busiest day of the year for animal shelters as panicked pets often attempt to escape the noise and get lost, only to be picked up and brought to shelters. Here are 10 tips to help you protect your pet and prevent them from harm this holiday, as listed by the American Society for the Prevention of Cruelty to Animals (ASPCA) and PAW. Yes, we definitely want our pets to join in on our backyard fun with friends, but guess what? Fireworks aren’t fun for them, and not only frighten them, but could cause them to hide or run away. It’s best to keep them inside where it is safe. Although they will still hear them, keeping your pets within their comfort zone is the best bet. Seems pretty obvious, but you would be surprised as people often forget that their pets are NOT HUMAN. DEET, a common insecticide, may cause neurological issues for pets, so keep toxic chemicals OFF your pets. If you’re going to watch a fireworks display, keep your pet at home. Again, animal shelters are often overcrowded on July 5th as there is an increase in pets running away to escape the unescapable noise of fireworks. Also, do NOT leave your pet in the car for any amount of time, even if it “seems cool” outside. Temps inside your vehicle can rise dramatically very fast. Cracking a window does NOT help. Always make sure that your pet is easily identifiable in the event that they become lost. Not everyone is familiar with microchipping, so purchasing an ID tag would be beneficial in addiction to chipping. 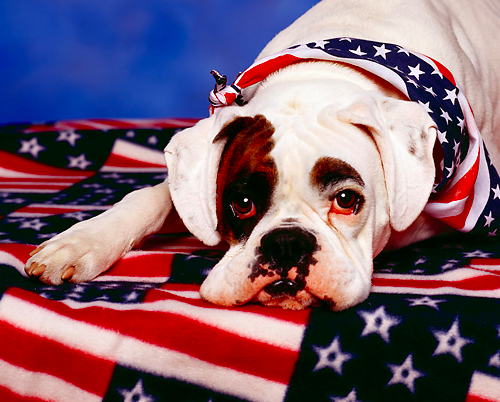 Don’t light fireworks around your pets…Consider the fact that they are on the ground and are easy targets. Keep them inside. Also, some fireworks contain potentially toxic substances such as arsenic, potassium nitrate, and other heavy metals. Toxic foods for pets include avocado, grapes, raisins, salt, yeast dough, and onions. Make sure their water and dog/cat food bowl is full while they are inside and enjoy your feast. This seems like a no-brainer. Keep harmful chemicals away from your pets at all times. The ASPCA states that citronella-based repellants are irritating toxins to pets. The result of inhalation can cause severe respiratory illnesses such as pneumonia, and ingestion can harm your pet’s nervous system. The best bet is to keep your pets inside and provide as much comfort to them as possible. Keep them in a protected environment where they will feel safe and secure. Next articleIs Your Makeup Killing Sharks?